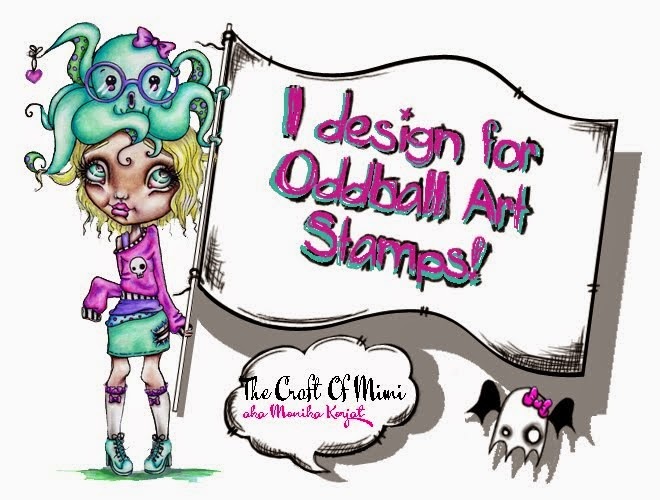 I am so so lucky to have been chosen to be an Oddball Art Stamp design team member and already have participated in the first Facebook challenge. As I am currently studying for my level 5 qualifications at work I decided to do something I could use. Here is my altered school diary for 2014-2015 academic year. I have used Fimo modelling clay to make the blue pencil and heart charms. I used my Neocolor II watersolubles, acrylic paints, Dylusion sprays, Rangers Distress stain and liquid pearls for the background. 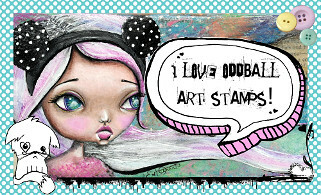 Adhered lace ribbon and added a digi stamp by Oddball Art Stamps. Added modelling paste, handmade fimo hearts and some flowers. At the end using my labeling machine printed out the year. I hope you liked the finished project as much as I loved working on it. 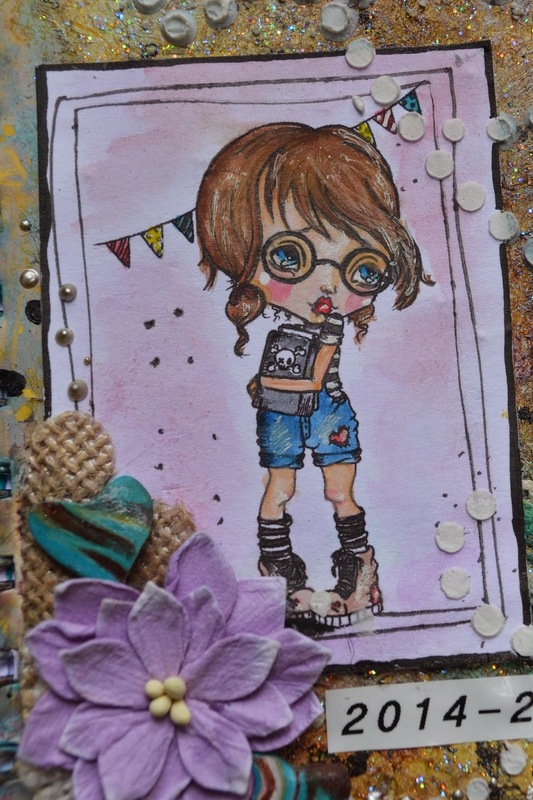 I am looking forward to my next challenges that are to come on monthly basis... but stay tuned to see more of my work with amazing stamps from Lizzy Love!!! this is so beautiful I seriously love everything about it!!!!! I think I love it even more knowing that you made the charms and everything from clay, that is super creative!!! Really happy to have you on my DT and looking forward to seeing more of your beautiful artwork!!! !